The long, dark nights of winter are about to get a little brighter. This Friday, Dec. 21, is the winter solstice, our shortest day and longest night of the year. Starting this weekend, the sun will be up for a few seconds longer each day as winter officially begins. This year’s winter solstice is at 5:23 p.m. Eastern Time. At that moment, the sun appears directly over the Tropic of Capricorn, at 23.5 degrees south latitude. Here in the Northern Hemisphere, the sun seems to make only a cameo appearance, taking its lowest and shortest path through the southern sky. 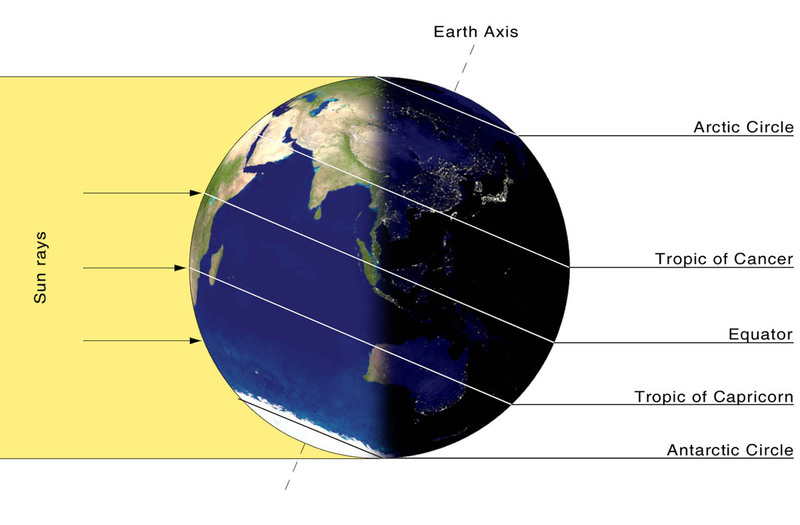 Most of the United States sees less than 10 hours of daylight on the winter solstice, but the exact length of daylight depends on your latitude. In Washington, the sun is above the horizon for just nine hours and 26 minutes, rising at 7:23 a.m. and setting at 4:49 p.m. In Oslo, Norway, the day lasts only five hours and 54 minutes. In Kuala Lumpur, Malaysia, the day is still quite long at 11 hours and 56 minutes. If the long hours of darkness have you feeling down, you won’t want to head north this time of year. Northern cities such as Seattle and Minneapolis get less than nine hours of daylight, while in Fairbanks, Alaska, the sun is up for just three hours and 42 minutes. North of the Arctic Circle, the sun never makes it above the horizon, and darkness rules the day as Earth rotates on its axis. Luckily, this year’s winter solstice won’t be quite as dark as usual. On Saturday, the first full day of winter, a full moon will shine like a beacon on the long, dark night. The December full moon, also known as the Cold Moon or Long Night’s Moon, arrives less than a day after the solstice, at 12:49 p.m. on Dec. 22. The last time the full moon and the winter solstice occurred less than a day apart was in 2010, and it won’t happen again until 2029, according to EarthSky. The full moon won’t be the only thing to watch for on our longest night of the year. The Ursid meteor shower will peak early Saturday morning (Dec. 22), giving skywatchers an opportunity to catch a few shooting stars in the night sky. Any meteors will be hard to spot, though, as the bright light of the full moon will probably steal the show. If being out in the dark isn’t your thing, the good news is that the nights only get shorter from here. In fact, we are already seeing a few more minutes of evening light than we did in early December. That’s because even though the winter solstice is the shortest day of the year in the Northern Hemisphere, it’s not the day of the earliest sunset or the latest sunrise. This astronomical misalignment happens because the Earth is tilted on its axis and we orbit the sun in an ellipse, not a perfect circle. When you combine these two factors, it causes our 24-hour clocks to end up slightly out of sync with the length of the “solar day” — that is, the amount of time it takes for the sun to reach its highest point in the sky from one day to the next. 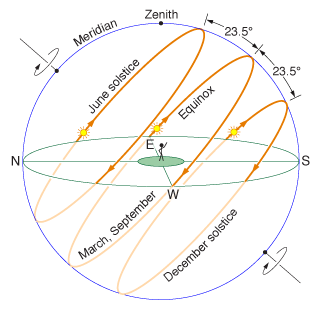 Near the December solstice, each solar day is about 24 hours and 30 seconds long. This causes the time of sunrise and sunset to shift slightly later each day, even as the days continue to get shorter until Dec. 21. Just like the length of daylight, the exact date of the earliest sunset and the latest sunrise depends on your latitude. In most of the Lower 48, the earliest sunset and the latest sunrise occur about two weeks before and after the solstice, respectively. Washington’s earliest sunset was at 4:46 p.m. on Dec. 7, while the latest sunrise will not be until 7:27 a.m. on Jan. 4 or 5. The upshot is that mornings will continue to get darker for another two weeks, even as we slowly tack on a few minutes of daylight in the evenings. By the end of December, sunset in D.C. will be at 4:56 p.m., a full 10 minutes later than it was at the start of the month. And by Jan. 5, the increased evening light will become even more noticeable: on that day the sun will set in the 5 o’clock hour. Even though the coldest days of winter are still upon us, the winter solstice is nature’s way of reminding us that in darkness, there is indeed light.